Oldspeed is it the Xply you are saying has cracked? I use my 2017 9.5 lion3 a heck of alot. In just the last 3 weeks 2 x 50mm cracks have appeared to Xply above batten above boom. These appeared after carrying sail to beach on my head when a gust hit forcing sail down n popping cams over from head pressure. Hmmmm. Nothing a bit of mylar tape wont fix. But none of my older Lions have this issue n seem pretty bulletproof. Dont have a closeup. Circled area is area of damage. Xply threads still holding it together but mylar has split. Still a great sail though. Plenty of lowdown grunt to get my 100kg carcass planing while others dredge around. Why inquire to the USA distributor ? Sure David. Hi olskool yeah it,s been cracking after the ist year mainly on the 2 panels next to mast sleeve at boom height ,i had been putting tape on each split as it appeared until i had to tape the whole panel for a neater job ,then i decided to contact Ezzy on their web site contact details ,next day i had a reply from Tim at Ezzy who ,after looking at my pictures the sun had weaken the xply and durring rigging it would crack,i always rigged as per their instruction video for the larger sails ,i did expect these sails to last like my old ones did ,my 2015 9.5m lion still looks good in all the same areas that have failed on my cheetahs . 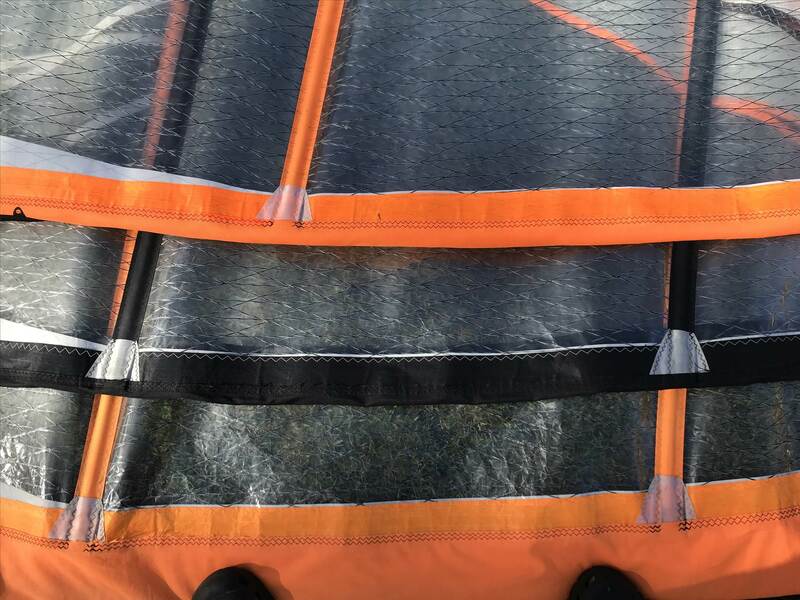 How old is this sail? And in what year of ownership did the sail start cracking? Your spelling looked to be jumbled up when you were telling us the age of your sail? 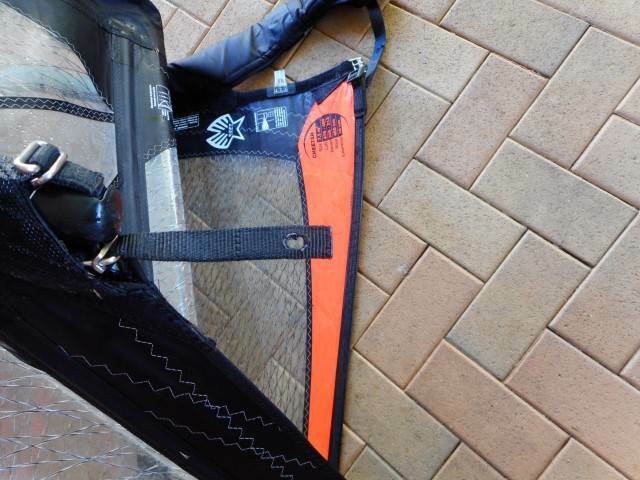 do you crinkle or crease your sails when you rig or de-rig ?? please do NOT make me lose faith in Ezzy sails BEFORE i have even tried !! 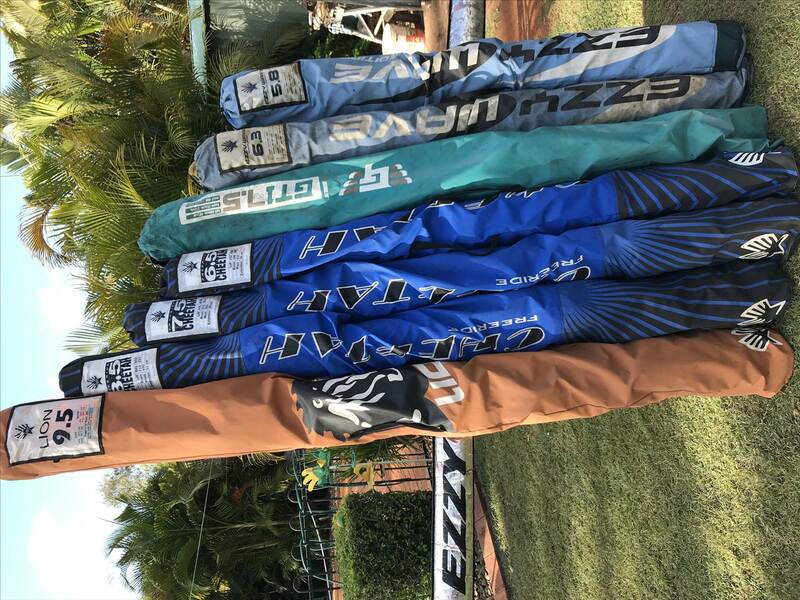 My Ezzy sails are 1 and 3 years old now about ready to start another season with em. So far, there are barely any creases in them. I use my 5.2 which is 3 years old about 20 times / year. That's 60 sessions with it and hardly any wear showing. My 6.8 Ezzy has 1 season of use and has about 35 sessions of use so far. I see a few minor creases, but nothing that will crack open for 5-6 more years of use from now. I'm very careful to take my sails out of the sun when off the water. I rig under shaded trees and de rig under shaded trees. Usually, it's always or almost dark when I de rig, because the wind doesn't usually come up until 4pm or 5pm. 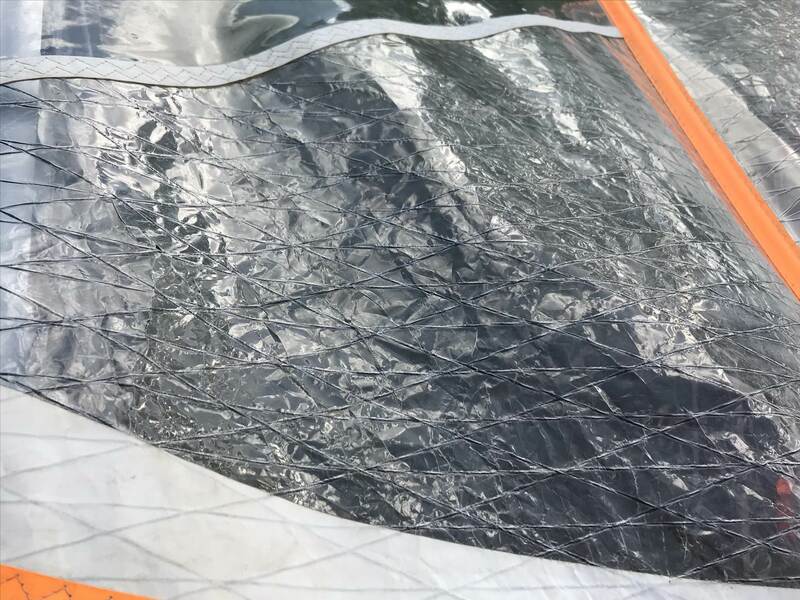 I always dry my sails off With a towel after use, then roll them and store the sail or sails that hit the water that day out of the sail bag so the damp sail cloth like mast sleeve can air out. 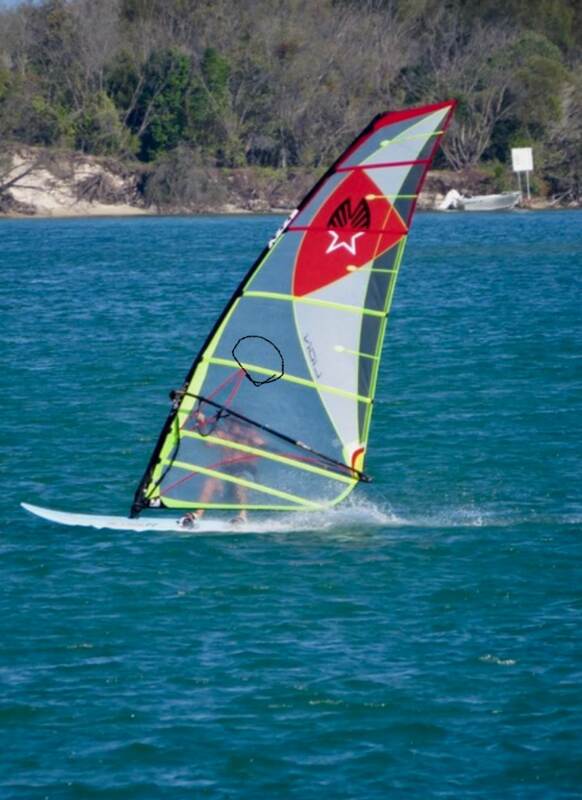 With these newer Ezzy sails, the mast just slides in and out, with no scrunching, at least the RDM Ezzy masts do. 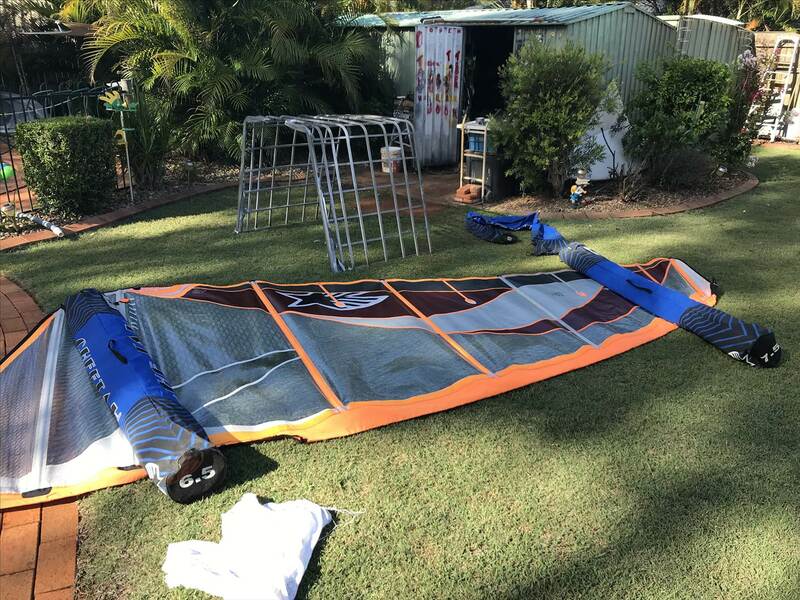 I'm almost wondering if the larger Ezzy sails get creases sooner from more man handling as the larger sails are heavier with more weight and gruntier, causing earlier potential creasing than the smaller Ezzys. 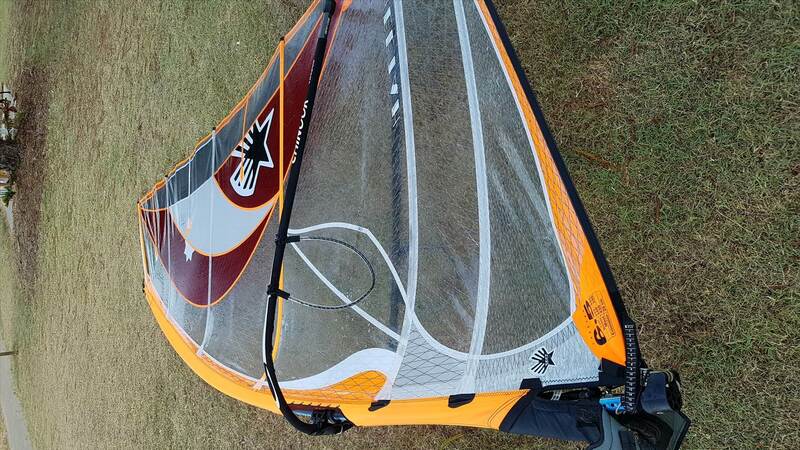 to all of you Ezzy faithfuls my 2016 cheetahs are not going to last like the rest of my Ezzy quiver ,2015 9.5 lion,2009 se 6.3m and 5.8 m also a 7.5m GTI made by Ezzy ,i have always rigged the cheetahs as per their video ,with these sails you can not slide the mast in like you can with their smaller sails ,like my se's ,you have to pucker the sail up over the mast cut out area to insert the mast ,and i am using a Ezzy 490 rdm . 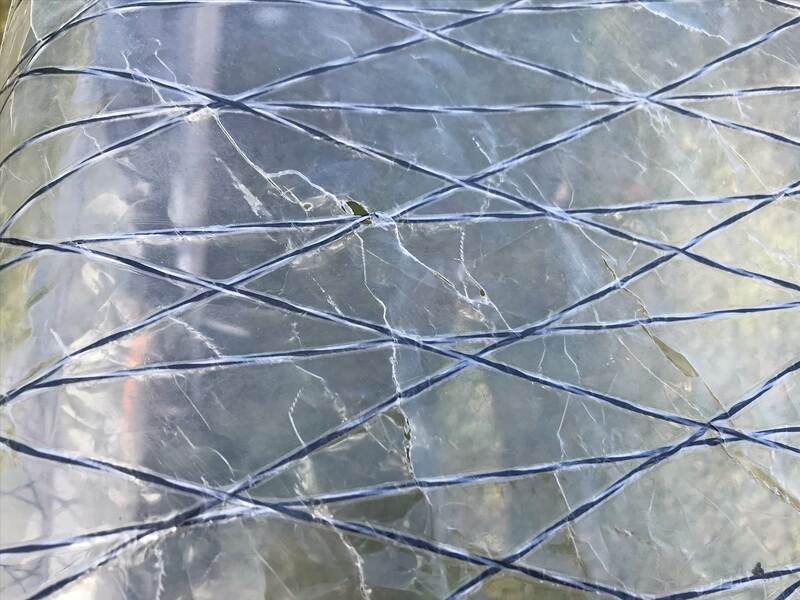 When i look at the pictures of my sail it look to me as if the xply has stretched in the areas that it has failed with the cracking . Some more pics maybe someone else can see this ? Thats where Ezzys contact address ,on their site sent my email ,if you would like to see the emails to see the names are genuine i will post . This damage has been caused by your rigging technique. You can't scrunch up the sail when feeding up the mast. None of my sails look like this. Even my 2012 Cheetah 7.5. On my 8.5 n 9.5lions i use sdm. Slides in ok all the way but the tip. Have to walk up n hold mast n kind of bend(staighten) it against my thigh to get the last 30cm to mast cap to engage. Removing the mast by twisting all ok except for cut out area seems to snag n bunch up. No more than any other brand of sail though. i do not scrunch up the sail when feeding the mast up ,i bring the mast cutout together in a pucker ,just like in the rigging video put out by EZZY and starring David Ezzy as The Rigger ,My older Ezzys also look good for there age ,and i rig them myself ,so why aren't they damaged . Maybe if they reinforced the xply at boom height, like they do on the Lions and i t looks like the 2019 cheetahs has more reinforcement than my 2016 Cheetahs , hard to judge unless i had a 2019 cheetah to lay on top to see if they have made any changes . My freeride (before Cheetah) is scrunched like that - mostly from my "technique" for mast removal. Having said that it has been used a lot in 8 years but the plastic is yet to break. Also I add a loop at the top for a screw driver stake as per other brands just to make derigging easier and avoid any creasing while derigging. In case some ppl are becoming concerned about durability this 2016 6.5 Cheetah has been in action two years now. It's fine. As oldspeed has suggested it may be that larger sails are more difficult to rig without puckering and creasing, but i have found that unnecessary on the 7.5, 6.5, and 5.5. 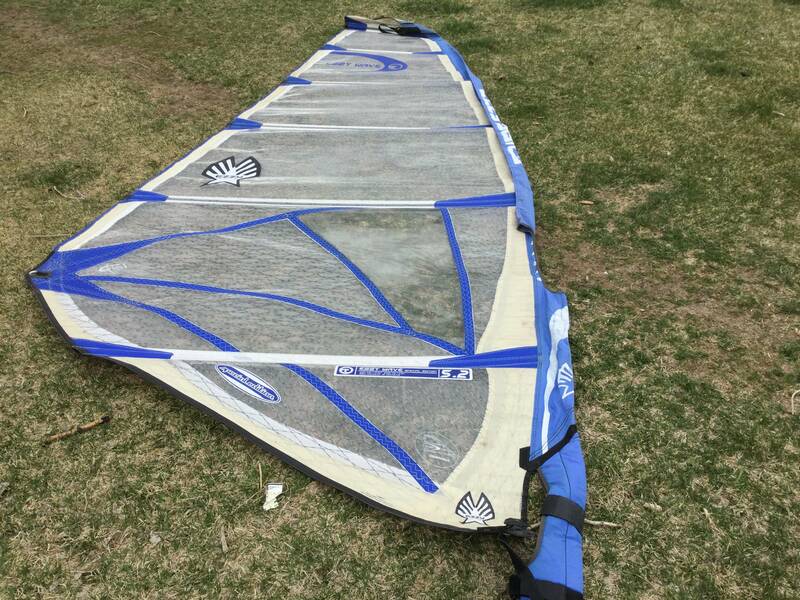 ^ I have the exact same sails in 5.5 and 6.5, lots of sessions on them, and they still look brand new. Not even the beginning of small creasing marks at the area where Oldspeed's sails cracked. Seriously, I watched these pics and went WTF ? I rig the 5.5 with a North rdm and the 6.5 with a North sdm. No problem whatsoever to rig and derig, note that just like Jman I also added a loop at the top of the 6.5 to slide the mast off more easily with a screwdriver stuck in the grass. 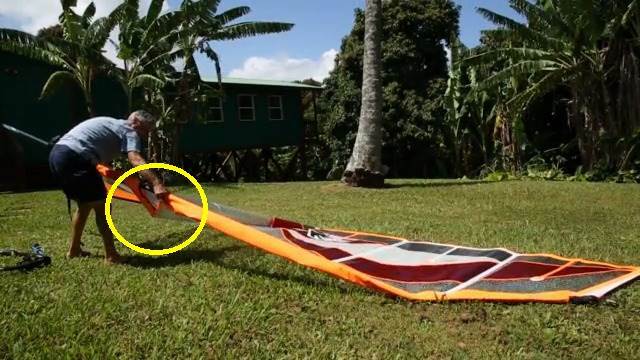 It is very possible that large Ezzys (larger than 6.5) are more difficult to derig than the smaller sails, but I can't see any Ezzy having the film crunched so badly like that without it being some sort of repetitive mishandling on the sailor's part. That screwdriver idea is genius for easier de-rigging. Great idea!! which I thought was a tougher more durable material . I've felt they shouldn't have reduced the battens from 7 to 6 in the 6.5. Any thoughts? I agree NotWal (and oldSpeed), thanks for the info. 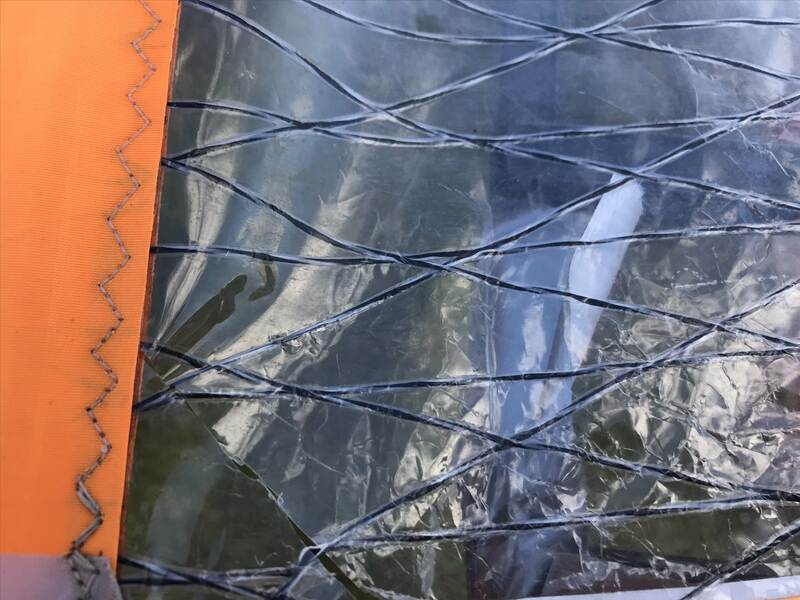 Why is it that experienced sailors post a fault with a product and site Curmudgeons - without asking for info/pics - state the fault is due to misuse/incompetence because they have never had a fault ? I've had my 2016 5.5 Cheetah for two years. 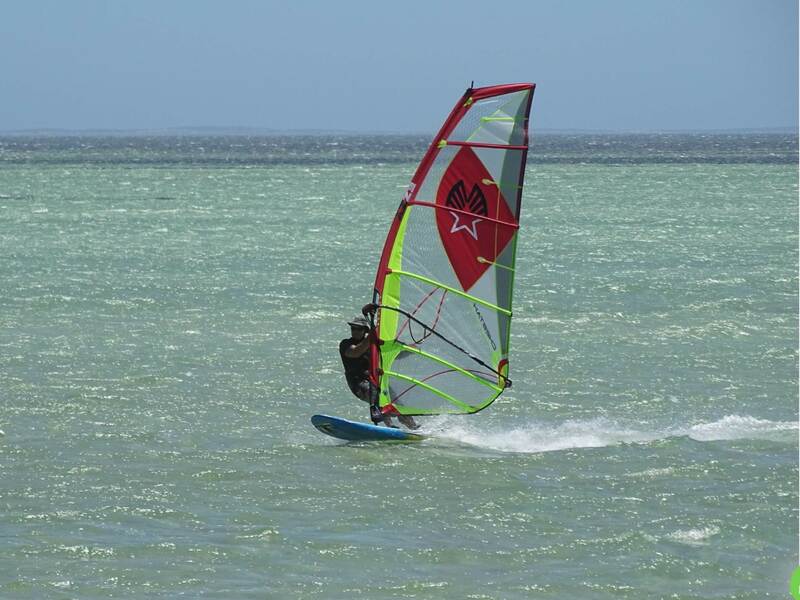 Awesome sail and no problems with it. When I got it, the first thing I did was download the Dave Ezzy's rigging guide (on the Ezzy web site). 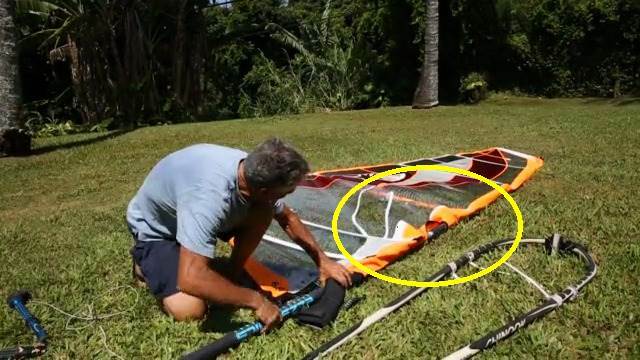 As the rigging video shows (pics below), some scrunching (as Notwal mentioned above) of the sail cloth is needed when rigging and derigging. 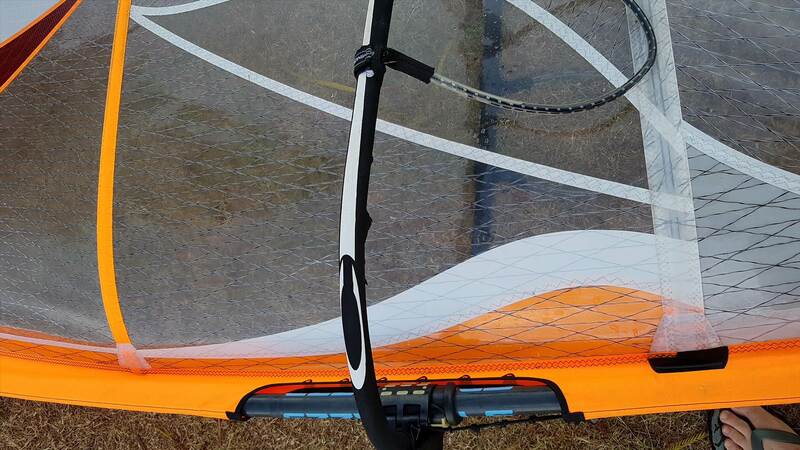 Unless you are using inflatable masts ?, It's impossible to rig a sail and not scrunch it. No. I would use the Australian . It must be the same character flaw that prompts some sailors to say it's not possible to rig without scrunching when several other sailors report that they do rig without scrunching (and with ease) every sailing day of their lives. As I said above I never scrunch my 5.5, 6.5, or 7.5. Mr Ezzy clearly shows you how to do it in his videos. This man is clearly not paying for his sails. Sold last summer, a 2001 Wave SE, first year. Survived me and a 8YO. Small cracks in the xply at the top batten. Has anyone done the maths. = 1.5 years before replacement.